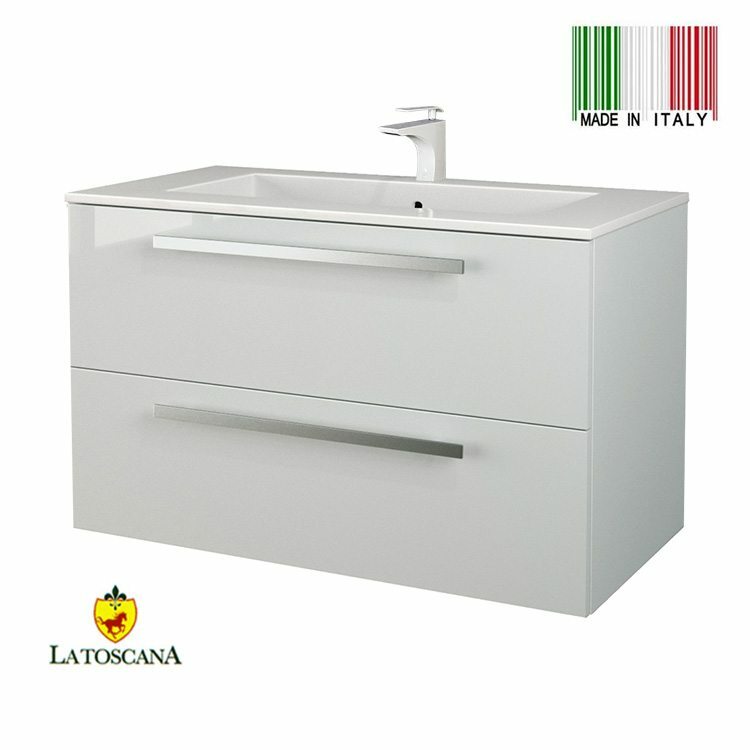 LaToscana 34 inch AMBRA Bathroom Vanity With Finish Glossy White. 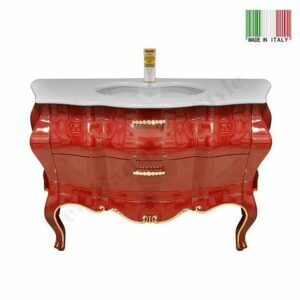 Two slow close drawers and tekorlux sink top.This is highly luxurious bathroom vanity cabinet La Toscana made in Italy. It is made out of highest quality MDF/DM material on the market. This Bathroom Vanity Cabinet can fit in any ultra-modern design view in your bathroom. This is wall mount bathroom vanity cabinet with the possibility to use one leg in the center. It has a special Tecorlux sink with with overflow. The top drawer has a very useful organizer. In the middle of each drawer there is a hollow space for connecting the plumbing pipe. Also, the drawers can be easily taken out for maintenance, if necessary. All hardware is included. 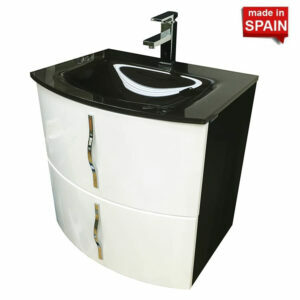 With a minimalistic and modern design this vanity is perfect for small space. 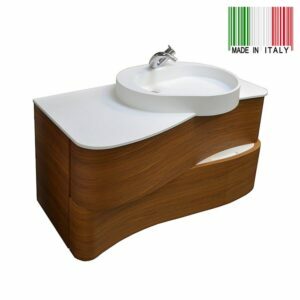 The “AMBRA” bathroom vanity cabinet offers ample storage for all of your washroom necessities.